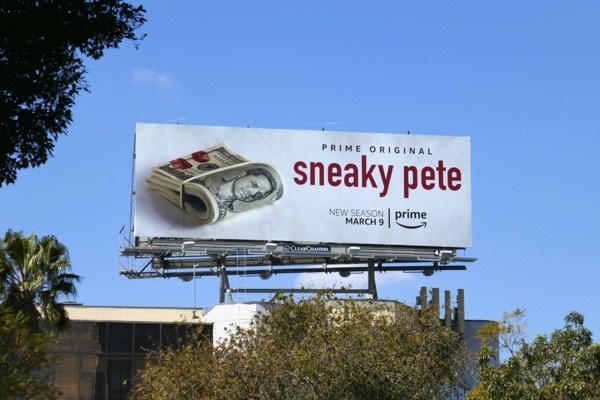 In 2017 Sneaky Pete was the second most watched series on Amazon Prime according to the streaming service, behind motoring show The Grand Tour in pole position. 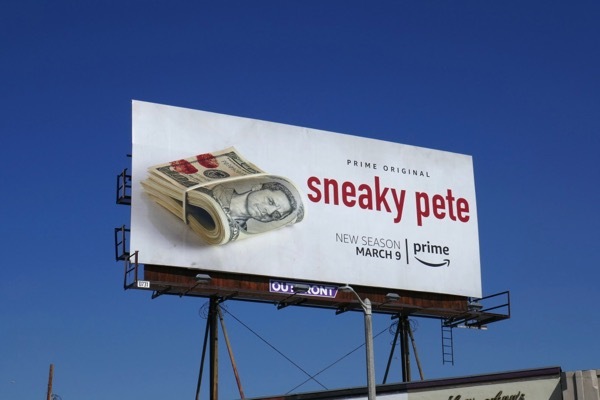 In the debut season con man 'Marius' (Giovanni Ribisi) got out of prison and went to live with his cellmate 'Pete's' extended family who hadn't seen him since he was a child, assuming his identity and running an elaborate hustle on the gangster that put him away. 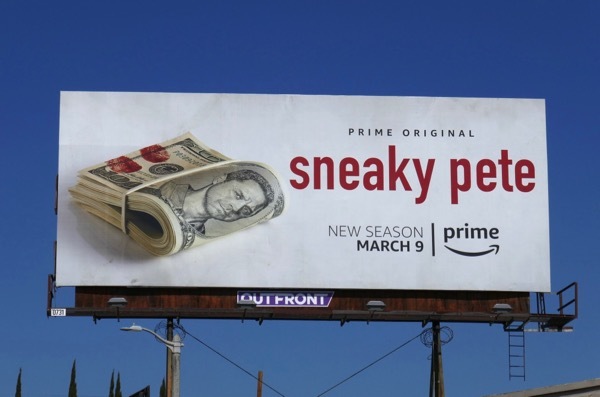 Now Marius is back with his fake family of grandparents and cousins for a second season, still trying to outsmart bad guys and their goons and hunt down the millions in cash the real Pete's mother stole. 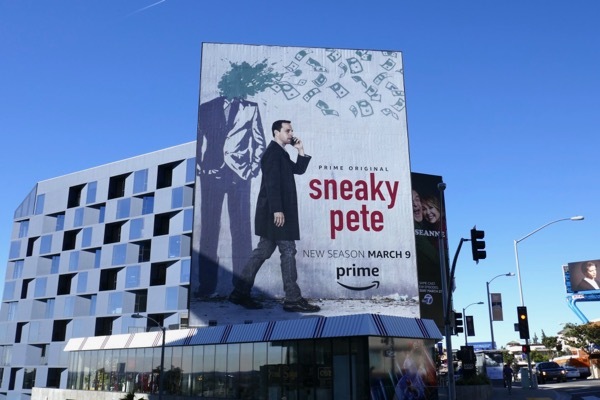 These clever 'mind-blowing' and 'blood money' season two billboards for Sneaky Pete were snapped along La Brea Avenue, San Vicente Boulevard and the Sunset Strip from February 28 to March 1, 2018. 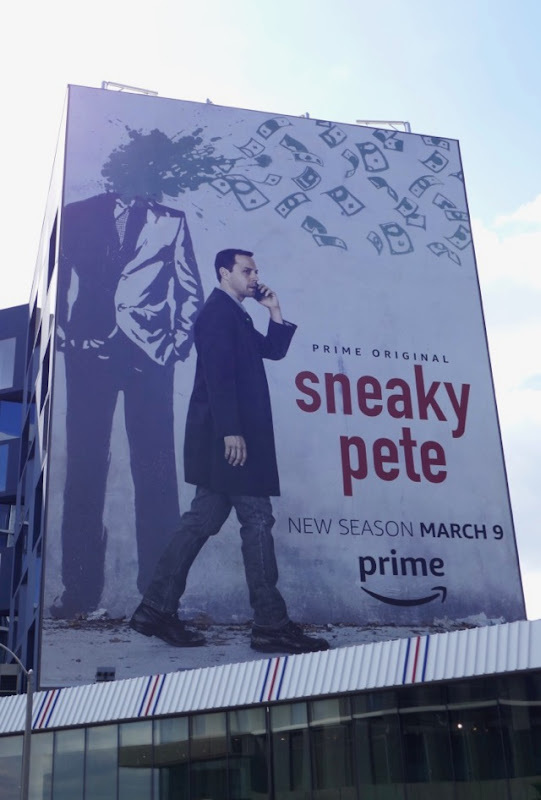 Fans of the Amazon Prime original series can also check out all these Sneaky Pete season one and awards consideration billboards. Expect to see even more of the actor in the coming years in the Avatar sequels, but can Giovanni Ribisi's crime drama continue shatter expectations and blow people's mind when it returns for its sophomore season? After all he's come a long way from being 'Phoebe Buffay's' half-brother on Friends. 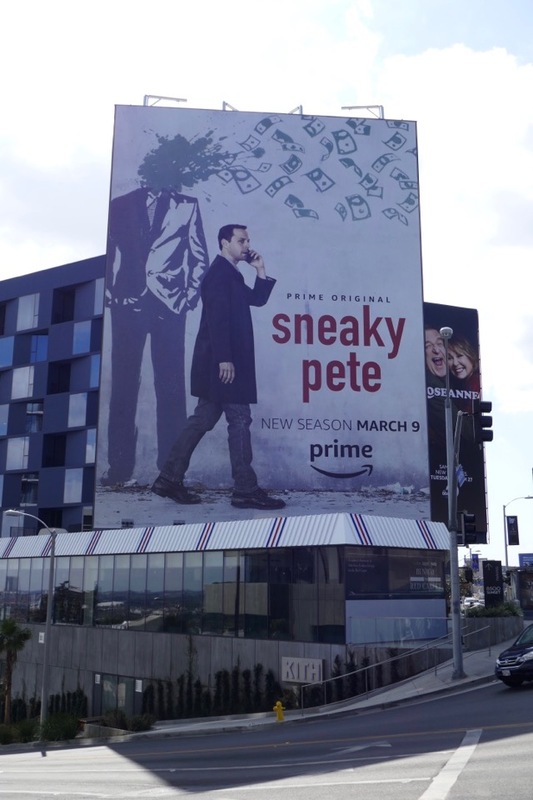 UPDATED: Here's another shot of the super-sized Sunset Strip billboard in better lighting.